Named in honor of our good friend and very first paying customer — what a fitting name! 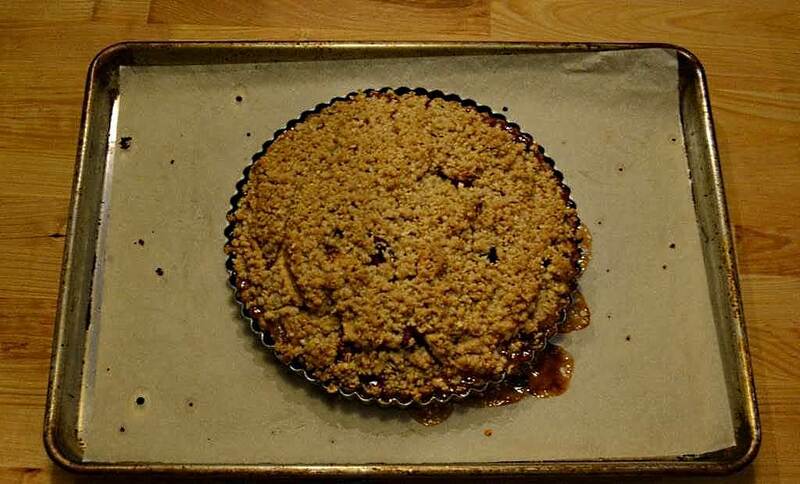 This tart is the S Class of apple tarts: 4 wheel drive Sweet Tart Crust for reaching every corner of your pallet, twin turbo charged with 2 kinds of apples, cranberry for that extra octane boost, finished with hand crafted crumble. While it may feed the 7 passengers of a GL Class luxury SUV, you are going to want this pie to be a two seat coupe all for yourself. Test drive it for yourself today! 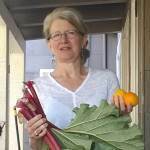 I used organic Sierra Beauty and locally grown Granny Smith apples and was lucky enough to find some fresh dry harvest Bandon cranberries on my latest trip to Oregon. 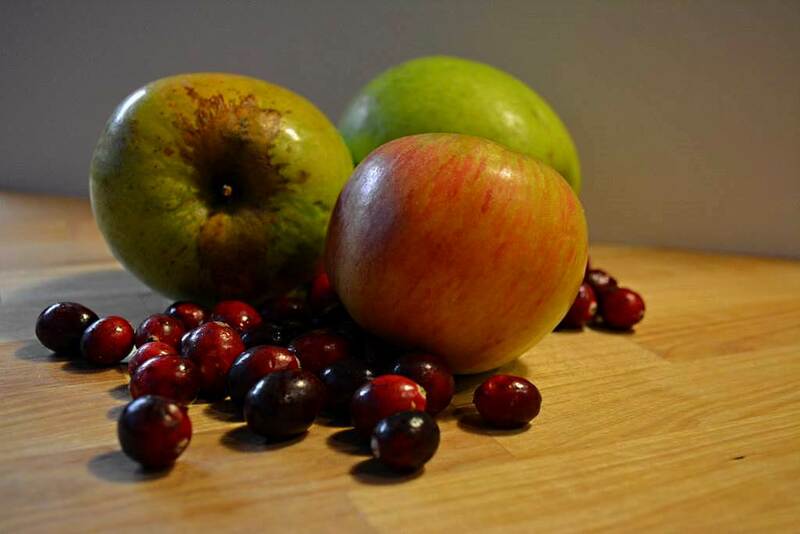 Feel free to experiment with various apple combinations I recommend apples with contrasting flavors and textures. Any fresh or frozen cranberry will do perfectly. 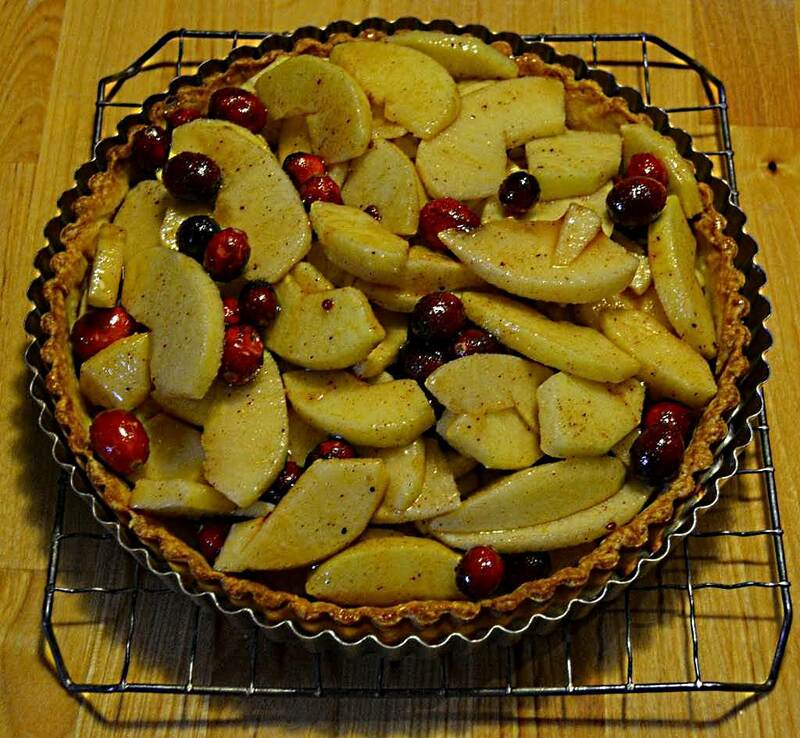 Apples, & Cranberries — Sugar, & Spice — Oh that’s nice! It will look like too many apples — just pile them high as they will cook down. Use as much or little crumble topping as you desire, but I like to use it all which may require creative placement. Combine all of the streusel ingredients in a food processor fitted with the metal blade. With pulsing switches, process until the butter is the size of large peas. Set aside. Or mix together with your finger tips. 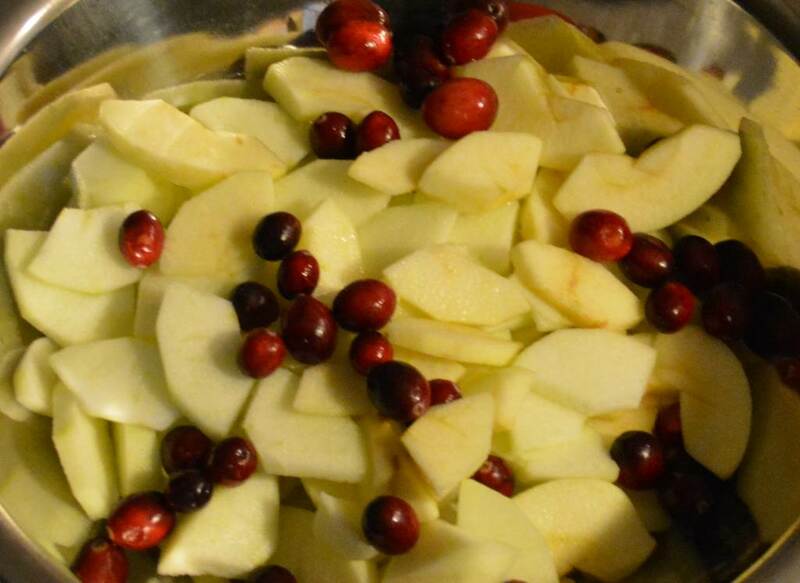 Peel the apples, cut into quarters, remove the cores and cut into ¼ -inch slices. Rinse the cranberries and dry them. Place the fruit in a bowl and drizzle the lemon juice over the top. Combine the sugar, cornstarch, and cinnamon. 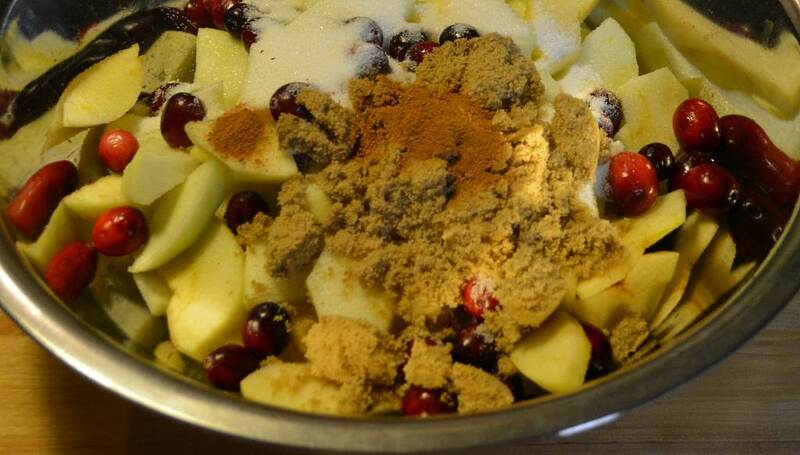 Add the fruit and mix together. 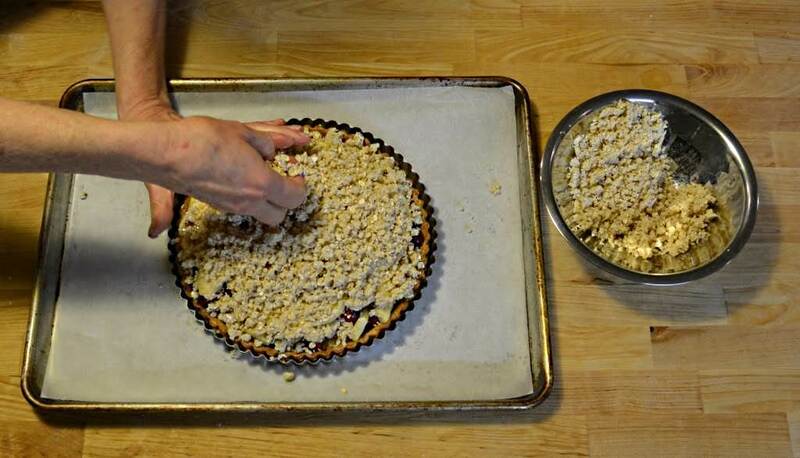 Place the fruit into the pre-baked tart shell and put the crumble topping on the fruit in an even layer. Put the filled tart pan on a parchment lined sheet pan and bake until the juices begin to bubble and the topping is golden brown—about 50-55 minutes. 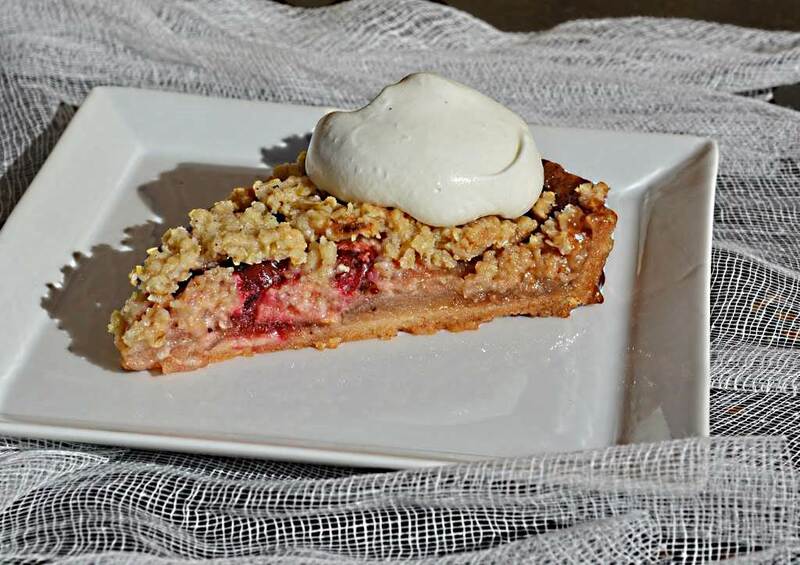 NOTE: Most of the time required to make this tart is inactive chilling and baking.